Any picture of a bobcat is unusual, as these cats hunt at night when photographers aren’t as common. This particular bobcat lives on the west side of Pinnacles National Park, and is known to help keep the squirrel population in check. Look at its mouth closely. After this successful catch on 3/14/14, a coyote chased the bobcat down trying to get its meal. 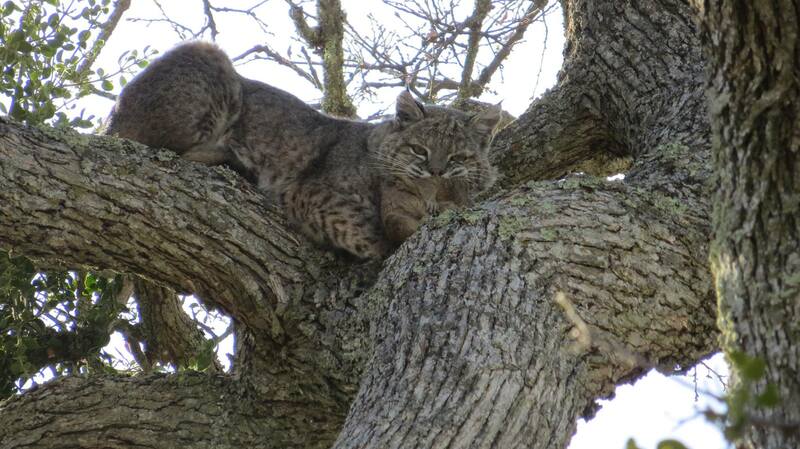 The bobcat kept its prize, though, by climbing up the tree and waiting out the coyote. Oh the circle of life. From the Park’s Facebook page.